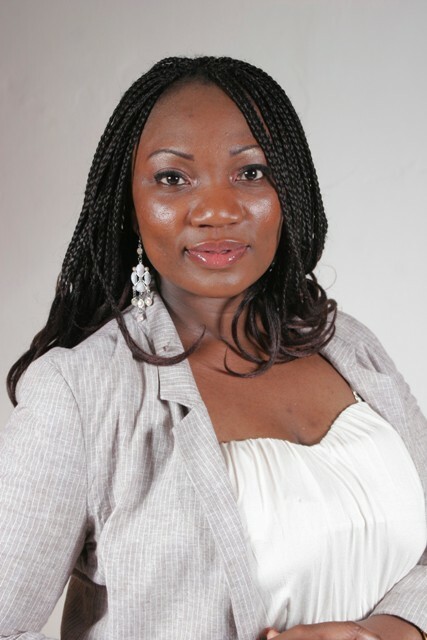 Abimbola Junaid is a social change practitioner with over 10 years experience as a community development officer, working with women, disenfranchised and marginalised youths, asylum seekers, drug addicts and alcoholics to regain their rightful position in society. Junaid is the founder of Arise! Nigerian Woman Foundation, an organisation that campaigns for gender equality, the political participation and advancement of women within Nigeria’s political landscape. Before the parliamentary election on April 9, of the 469 members of Nigeria’s national assembly, only 34, were women. The incumbent president, Goodluck Jonathan has promised to appoint women in 35 percent of political posts, if he wins today’s election. But that’s just what it is, a promise. During our interview, Juniad spoke passionately about her vision to empower women about their rights and the need to become more politically active. She also talks about the use of social media in the current elections. Belinda: Where does your passion for activism come from and was there a defining moment based on what you saw happening around you and in Nigeria that provoked you to say its time for change? Abimbola Junaid: It started after the death of my mother, who had dedicated her life to grassroots community development. People would come up to my brother and I, telling us about the different ways she influenced their lives. It got me thinking and of course, the nature of my job in the UK, as I work with people from various backgrounds, from drug and alcohol addicts, to women fleeing domestic violence to the homeless. This was a humbling experience and one should give kudos to a society that gives its people second, third and as many chance as they are willing to start again. The experience really got me thinking about doing the same thing back in Nigeria, where I was born. Belinda Otas: You only work with women in the process of political participation? Surely, it is not just women who are left out of the political process? AJ: Women are often times, the ones, who are impacted the most when there is war or political crisis. In the case of Nigeria, our children are roaming the streets because their schools are on strike. We can’t help them and when they go wrong, we are to blame. When our loved ones are sick and the doctors and nurses, are on strike, we are the ones that are most affected. When there are tribal wars and clashes like we have and continue to witness in Jos, women and children are the most impacted. Our needs and experiences are not priority in the equation of policy decisions, yet we constitute the largest percentage in the populace according to the national statistics. Besides one gender can not adequately represent the other gender, so we must be seen and heard at the negotiating table. Belinda: How would you describe the current political landscape of Nigeria? AJ: I believe the political landscape of Nigeria, whether we like it or not , our history is being written day by day and it is up to us, to decide if its going to be a good one or not. If we haven’t forgotten so soon, where we are coming from, I think we could have really maximised the freedom of independence or even democratic rule over ourselves, but we have forgotten nationalism patriotism and posterity, for self gratification and destruction. Belinda: Which platforms do you use to get your message out and what has the response to the work you do, been like? AJ: It involves a lot of advocacy work and this can take the shape of lobbying policy makers and stakeholders. It could take the form of protests and demonstrations, organised by a group of like minded people. We also encourage others to write articles and respond to crucial issues that come up around the Nigerian woman through any medium and platform available to them. Belinda: It is documented that 70 percent of Nigeria’s population is under 35, how engaged is that generation politically today compared to 10/20 years ago? AJ: The leaders of Nigeria have failed the youth of the country. They mortgaged our future for their selfish interests. They did not have a plan for the youth and whatever plans existed before, they destroyed it. No nation prospers when its young population is drenched in darkness? Look at our education system, non-existent. The energy of our young men and women is channelled towards idleness which sometimes results in occultism for the men and prostitution for the ladies. They call the youth, Yahoo Yahoo boys but the truth is, they are young people with so much energy, looking for an avenue to channel it. They have killed the creativity, passion and the innovation of these young men and women, who can contribute to the society but the very foundation that could nurse this vision in them, education, has also become a struggle. The older generation, the old wine skins do not want to relinquish power to the young, yet they stick with the old recipe and it is not working. Every generation has its moment and this is our moment in Nigeria, look around the world, young upwardly mobile people are taking their nations forward, look at the prime minister and deputy prime minister of Britain. The Chancellor of the Ex-chequer is even younger and the Labour Party leader, leader, Ed Miliband. All over the world, young are taking control despite dire economic times and leading their countries, but can that happen in Nigeria? The older generation would go up in arms, to defend why their archaic and wayward ways, which have set us back many years from development is still the right recipe. Belinda: As of April 2011, what role is social media playing within the political climate of the country? AJ: We can see the power of social networks in the Arab Awakening. It is sweeping across as we speak but we should have got an indication of its power when Nigerians in their thousands and in various cities of the world, came out to join the Save Nigeria protest March in January 2010, when our then president, the late Umaru Yar Adua was AWOL. That action by Nigerians definitely influenced the change the nation has experienced in the last one year and I think President Goodluck Jonathan, should never forget that it was the masses who clamoured for his instalment so he should not let their sweat be in vain. I think social network is the medium of social movement and it will be with us for a very long time to come. Belinda: In what ways have you maximised the social media platform to get your message at Arise! Nigerian Women across? AJ: It has definitely helped in reaching out to more people and a wider coverage, even those in the most obscure of places. It has also brought about diverse view points at a greater and faster pace. It has opened doors to wider outreach and networking than and the speed of delivery is unimaginable. It is a priceless tool at mobilising, recruiting and finding volunteers, towards a cause or programme. Belinda: Since the presidential nominations/declarations and campaigns in Nigeria started, what key role has social media played where candidates are concerned in connecting them with the youth, and do you think they have been effective in using this new forum? AJ: A number of the aspirants/candidates have used social media platforms like Facebook and Twitter and others have employed the services and endorsement of role models to the youth for their campaign. However, this is not where it should stop. They need to expand their horizons by letting the youth know what they stand for and their plans for the advancement of the Nigerian youth population. They need to pay visits to campuses, speaking to students and engaging in debates with the youths. Belinda: From the perspective of the youths crying out for change, how effective have they been in using the same platform to make their voices and demands heard, and to keep the momentum going? AJ: I guess there are many initiatives/programmes/groups in place advocating for our youth. But I think the Nigerian youth needs to be more demanding and incorruptible in their position of seeking change. If a few of them compromise and let of steam, then they should bare in mind that, they are the future generation and it is their future being stolen from them. Let no one kill your dream is what I would tell the youth. No amount of money any one gives you can compensate for your independent ideas, thinking, innovation and height of success that you can still achieve. The various movements represent various aspects and they do come together in collaboration and mark of solidarity. However, I believe a more concerted effort, unity and speaking with one voice will make a lasting impact. Belinda: We have witnessed the political revolution taking place across North Africa but we have not seen that kind of power reaction in Nigeria. Why do you think that difference exists between Nigeria and countries like Egypt and Tunisia, where the unemployment rate among youths and other forms of discontent with the governments is just as high? AJ: In Nigeria we do not hold our leaders accountable. Though we make noise about it, we are used to a day or two of protests, and then we advise one another to carry on going, that we will be hungry if we continued with the strike. So, the government knows that the heat is not for long. So, they tease us with half deals, which they always go back on and then we keep quiet and return to the same position a little while later. Also we believe, things can not change, so why bother to be on the side of those demanding justice? We believe in sharing in the national cake, which comes to us inform of bribery, rather than going the long haul of seeking the change we want. We cannot die for what we stand for, that’s the major difference. Belinda: Is the movement a unified and effective one? AJ: In terms of it being a unified and effective movement, only time will tell. It is still new to us and we can only but hope it spreads like wild fire and becomes part of our lives completely. As for the kind of political change in the Middle East and the chances of the same in Nigeria, I think it is only when we truly decide to be in one accord that we can we truly rebuild our nation. Belinda: What are some of the challenges you deal with, where Arise! Nigerian Woman is concerned? AJ: The lack of continuity and devotion of Nigerians. We like the idea of something but do not volunteer nor put our money where our mouth is, it could make the process slower and the journey longer. Belinda: Would you say a majority of the Nigerian youth population, especially those with access, truly embraced social media or are there those who are yet to catch the bug and how they can get their voices heard through it? AJ: Let’s not forget that not every Nigerian youth is literate and not all literate Nigerian youth, is computer literate or social network savvy. In addition, the power supply is erratic in Nigeria and Cyber cafe is big business, in the absence of community run centres or youth clubs with free computer and Internet access. So the percentage of those engaged with social media, do embrace it well. However, I guess maybe not for making their voices heard but in most cases for fun and leisure activities. Belinda: Are women currently active and involved on issues that need change within the political frame of the country? AJ: Women all over the world have for so long been given a prepared script for their existence, to be a subordinate and not the main character. That culture is deeply entrenched and has been passed on from generation to generation and that in itself is a challenge. To break from the mode, the few women who have made impact have been labelled for their assertiveness and strength to confront the status quo. These key issues play on the psyche of women, whether we admit it or not and that is why we have or do not have the level of women activists as we see today. But I must also commend women, rather than be assertive and confrontational with the men, they have gone on to form organisations c popularly called NGOs to channel their cause and the change they want, and this has been highly effective in the upward mobility of women for some time now. So I guess it’s about your strength as a woman to do something. But more has to be done either way. This entry was posted on Saturday, April 16th, 2011 at 3:47 pm	and is filed under Africa, Interviews, Journalism, Nigeria, People, Politics, Women. You can follow any responses to this entry through the RSS 2.0 feed. You can leave a response, or trackback from your own site.